Well tiny pic has problems with pictures I take sometimes. So...until I find another host I like and doesn't flip my cell phone pics upside down I'm stuck on photobucket. If my pics are only working for me please let me know. Well my adventures for 2017 have finally come to an end I believe. 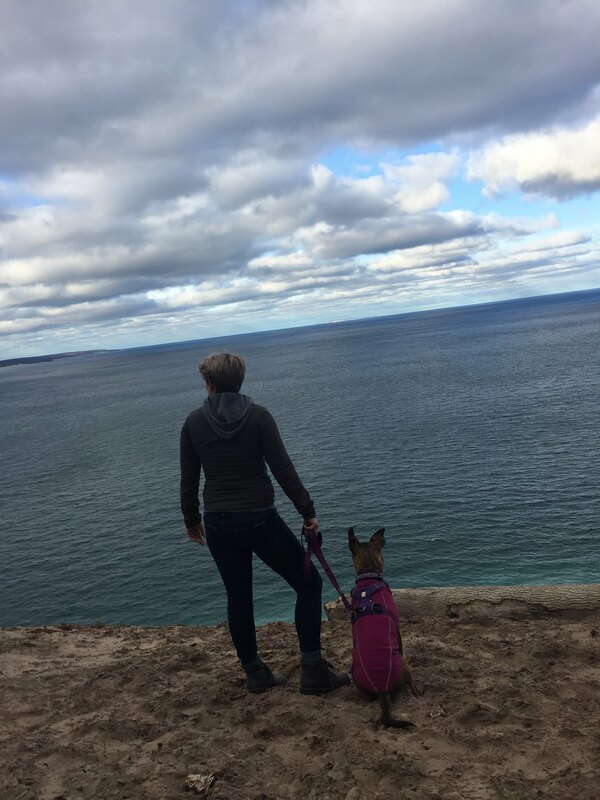 They encompassed, surprise surprise, two more trips to Northern Michigan. 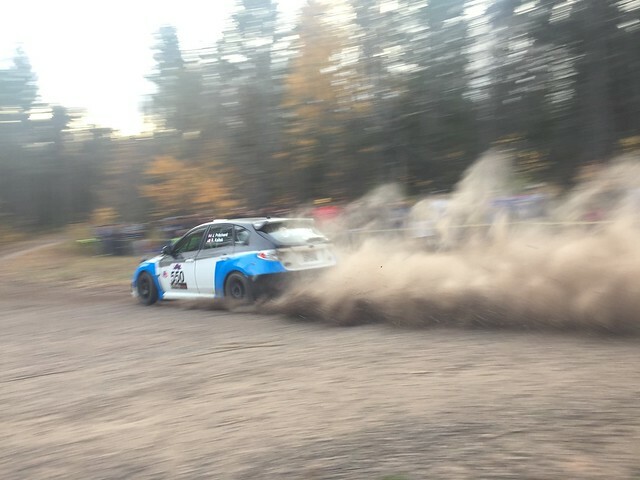 The first was a friend and mine's yearly pilgrimage to the Keweenaw Peninsula for the last race in the Rally America series. 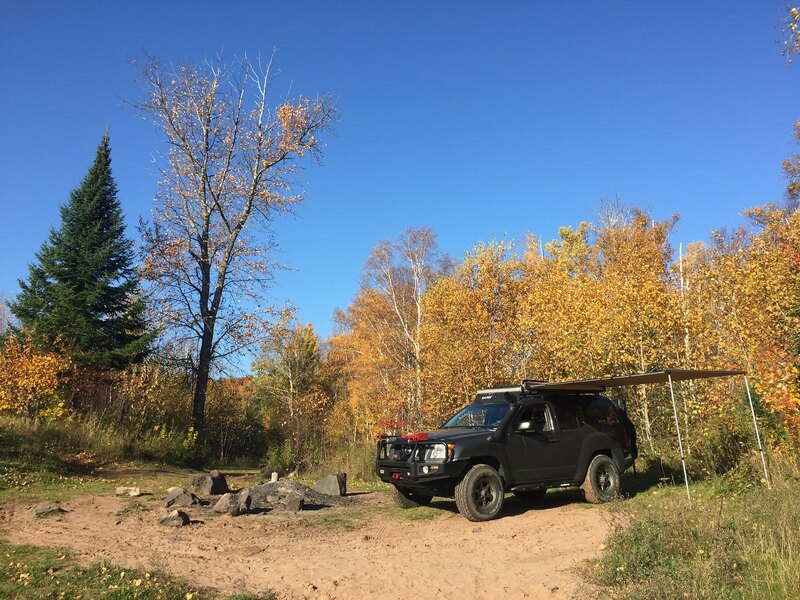 It gave us the opportunity for relaxing, soft overlanding, and doing some recon for a trip we are planning next fall in the UP of Michigan. Getting in and out of stage you use a lot of fire roads and seasonal roads. 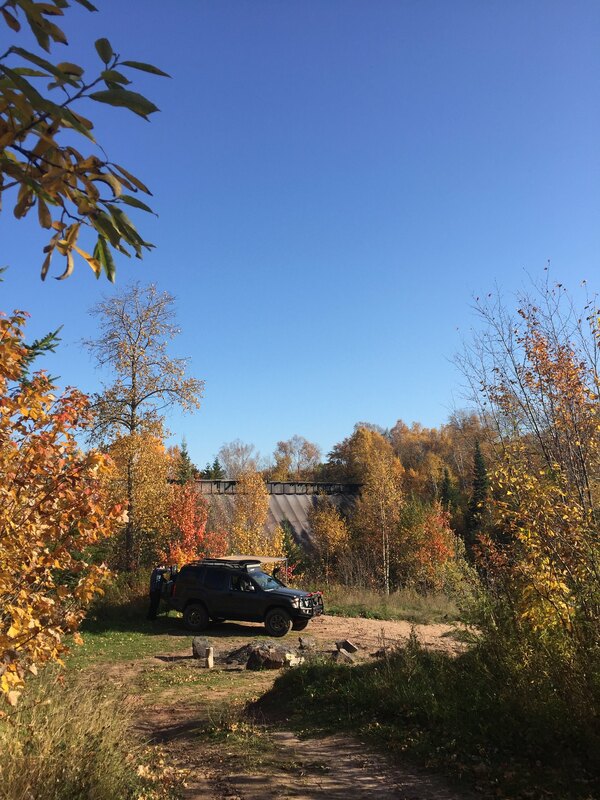 It was a lot of fun to bomb down the roads and leave the subie guys in a giant cloud of dust, hitting mud holes that would splash over the roof of the Xterra. Baja'ing down those roads did take there toll though. The front wheel bearings finally gave up after 3+ years of hard use and wheel spacers. As usual we tried to tie in a little of the overland lifestyle. exploring the Redridge Steel Dam again, 4 years after first finding it. Getting in behind the scenes at a couple locations. Talking to a woodworker that has his on shop behind the Ford Lumber Mill in Alberta. Continuing to experience local cuisine. 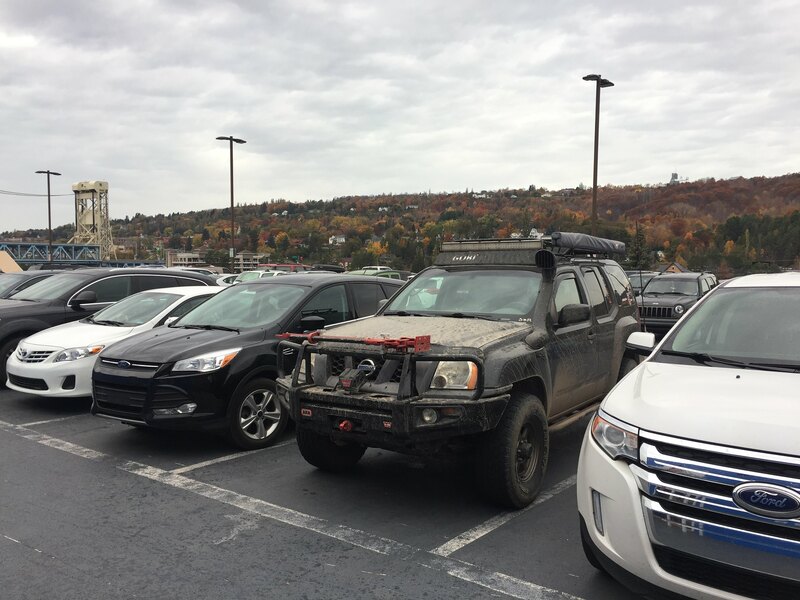 The Xterra received a massive amount of praise from passersby as we sat parked along fireroads waiting to hike into viewing areas. 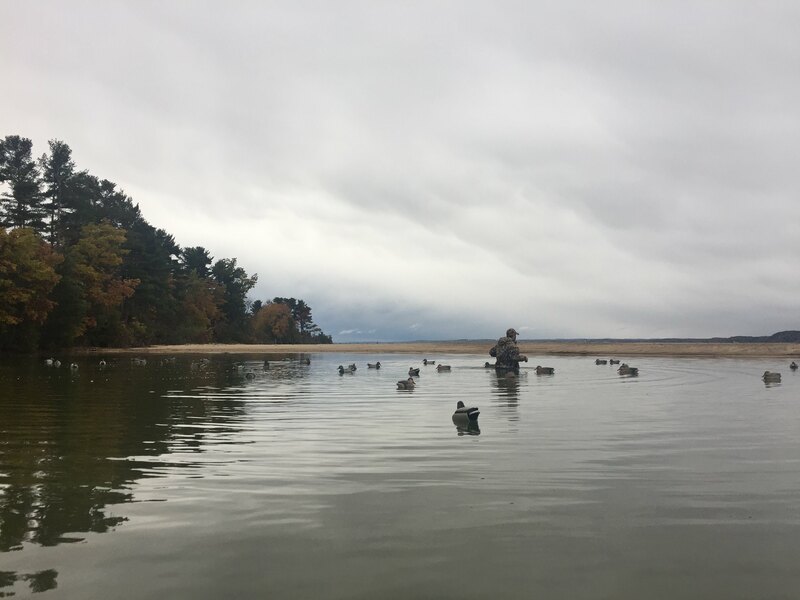 After returning home we took a couple weeks to rest and regroup for our next trip. 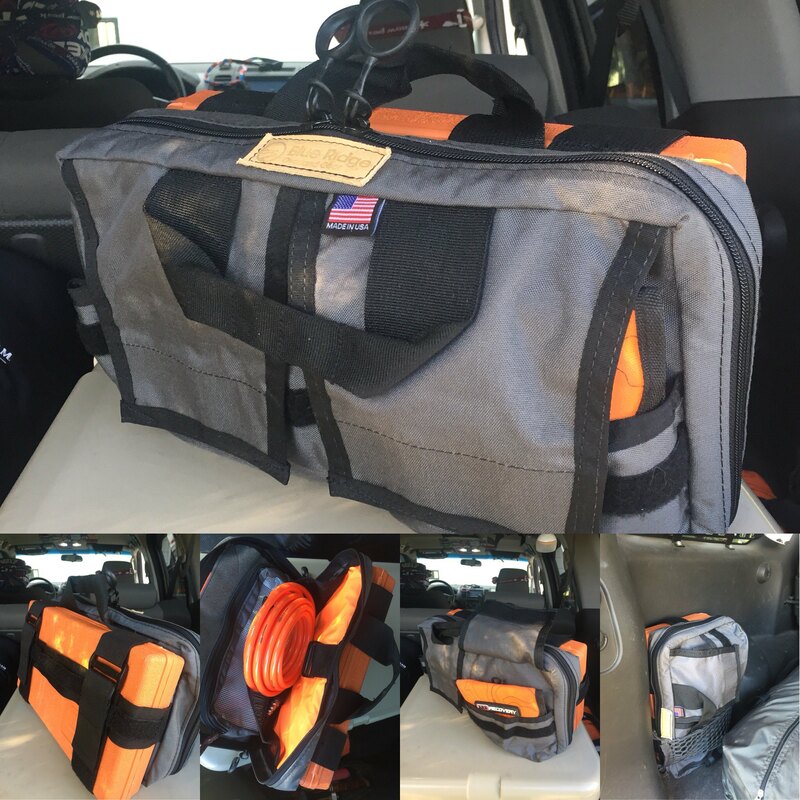 The Xterra was repaired, I took the time to install my ARB air compressor and finished piecing together a full compliment of ARB air tools and BROG Air Tool Bag. 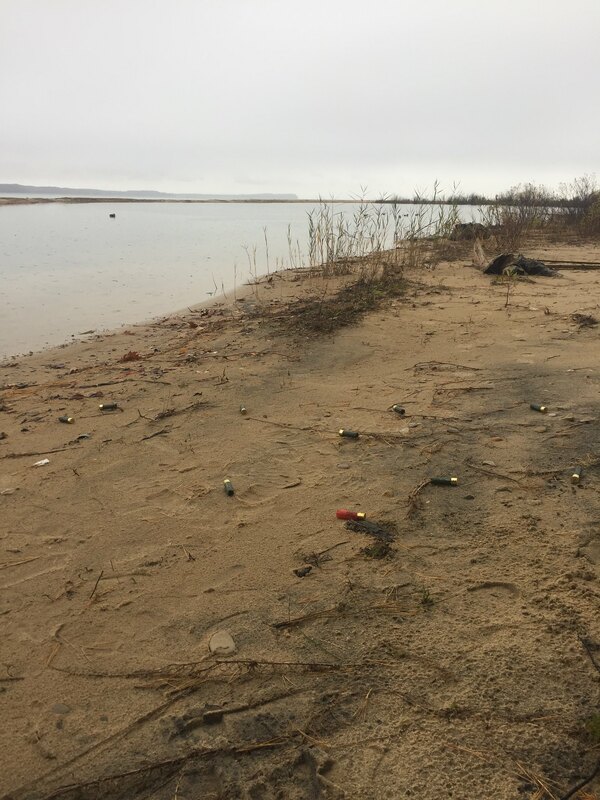 We then headed north again to the Traverse City area to spend time with family. 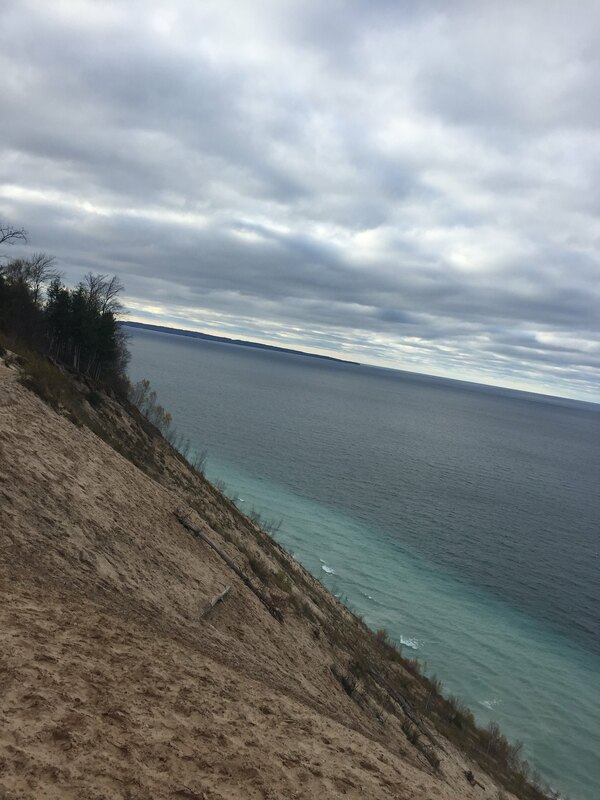 First we visited Pyramid Point and the Sleeping Bear Sand Dunes. Always traveled a couple of small seasonal roads to make us feel like we were out on adventure. 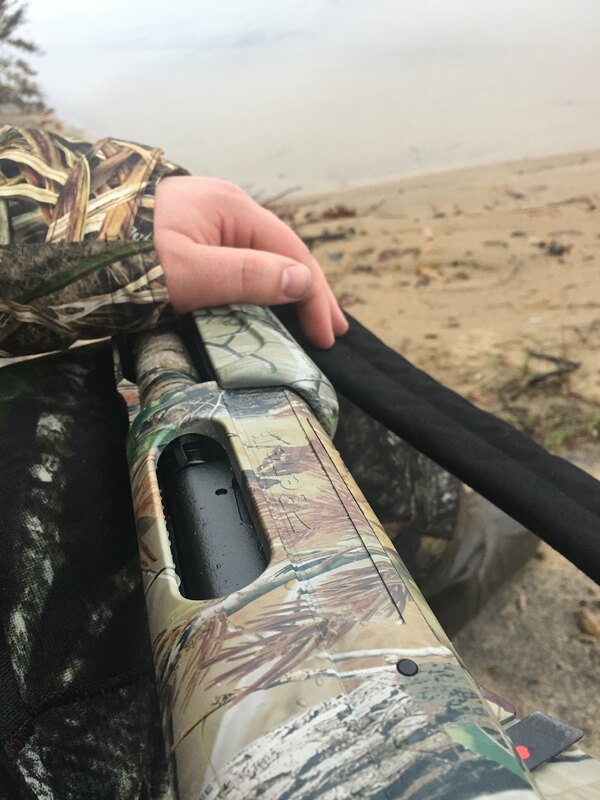 The rest of the weekend consisted of hiking in to try some more duck hunting, running some shots through my new Benelli Super Nova, Grouse Hunting, and having a fantastic lunch at Short's Brewery in Bellaire, Michigan. So, this year is complete. 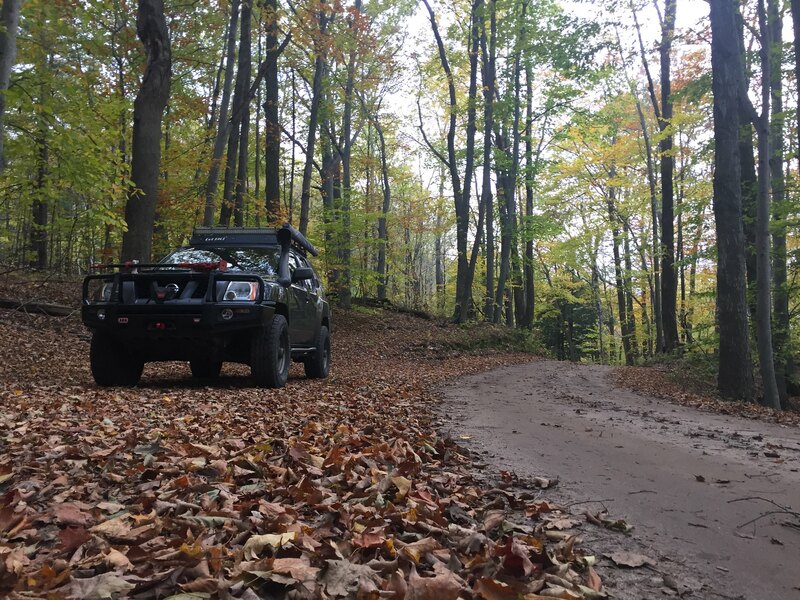 Countless trips to Michigan, an excursion of the state of Colorado, AEV's public open house, and Overland Expo East. What a busy year. 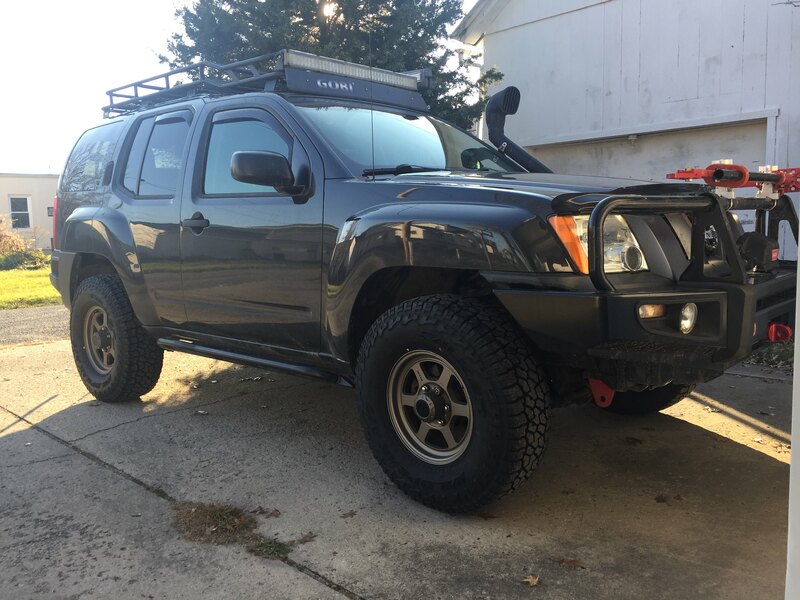 The Xterra needs a refresh. I am more focused on what makes sense for this rig after really putting it to use this year. It needs suspension work, I have decided the best fit is the OME HD setup with some odds and ends from PRG like shackles and maybe a U Bolt flip kit. 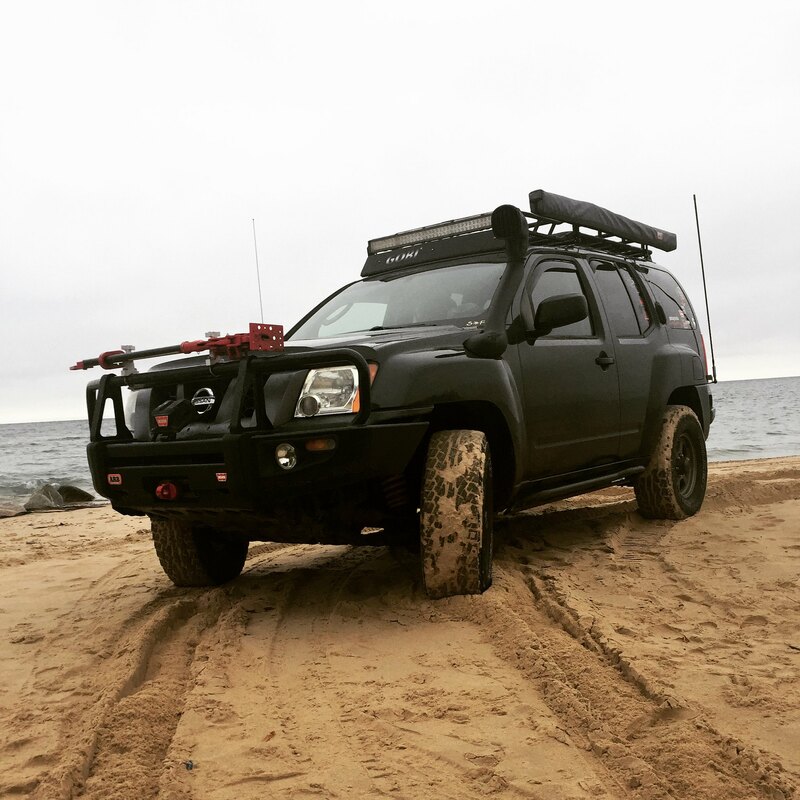 I believe the OME kit will give me 2.5" lift, a bump over my current 2" lift, while also expanding my carrying capacity and at a cost I cannot deny when compared to Radflo and Alcan options. Also, I'd still love to get my hands on an M226 to build up. At this point I'd like to still do 4.10's and a factory e locker or ARB rear locker and ARB diff cover. Another must do item would be changing out my Falken AT2's to the current generation Falken AT3 all around. We also want to start working on our JKU Rubicon so time will tell what will happen for sure. Your pics don't work for me. I started using Flickr and am happy. Thank you, just switched to flickr and updated the post. Will be trying to move forward with their service. I think you'll like the OME kit. Are you running aftermarket UCAs now? 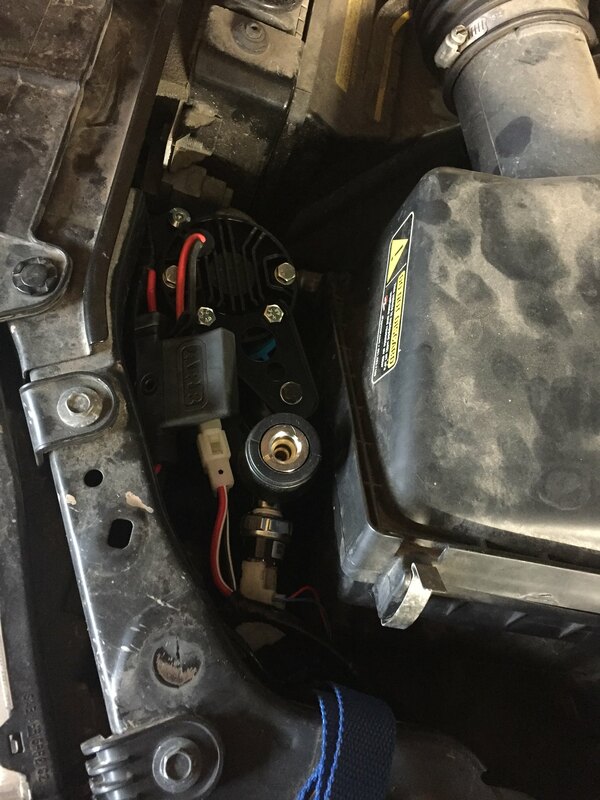 If so you could add a ~1 inch top plate spacer for some additional lift up front. That's what many of us are doing. That's what I'm running. Actually the 1.5" spacer on the medium duty OME lift setup seems to be working nicely. I've got a 1" spacer set sitting around from when I bought my TJM's off a buddy of mine. Will probably rock the OME for a while and then pony up for the SPC UCA's and drop the spacers in to go 3". Phase 2 of the Xterra is underway and hopefully this is only part 1 of the Xterra's Christmas Present. 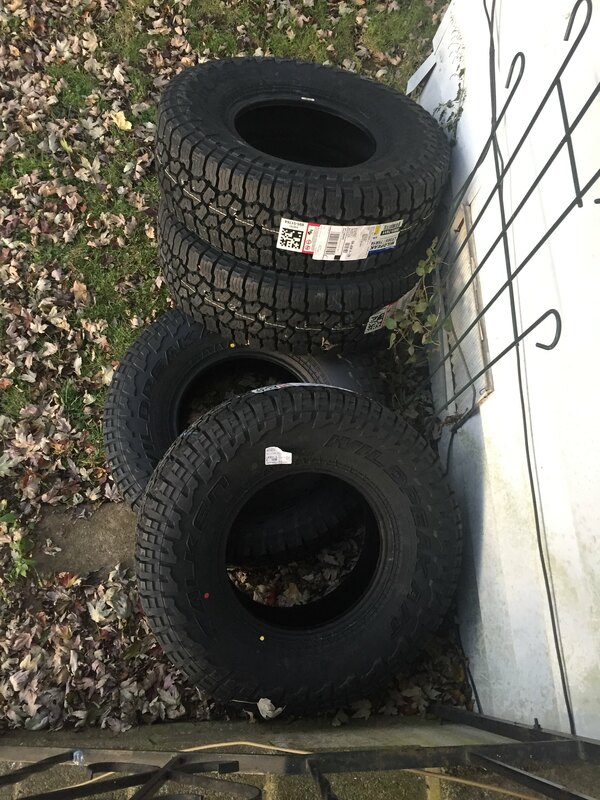 On Black Friday I joined Tread Lightly so I can maximize rebates and picked up a set of Falken Wildpeak AT3Ws. 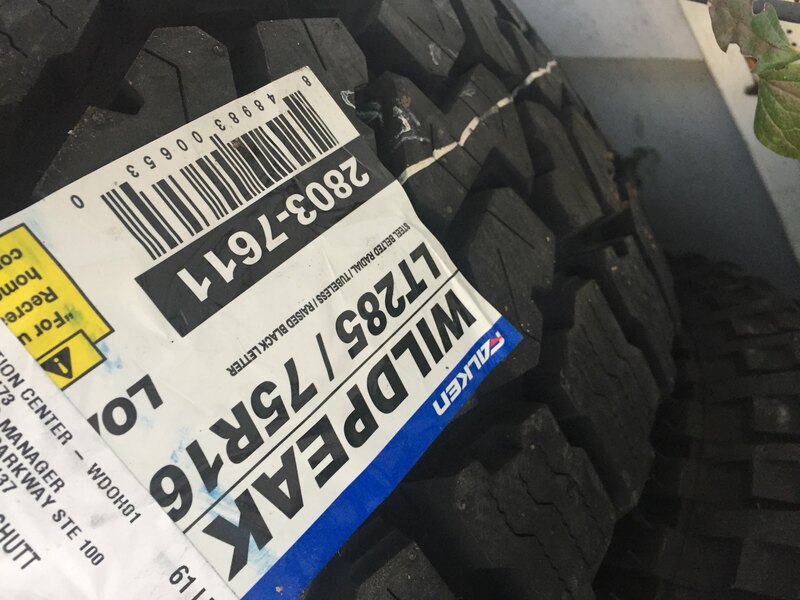 I've had one of these as my full size spare and if the AT2's performance and mild looks are anything to go by these AT3's are all beef and maybe half an inch taller in the same size. Am going to try and get these on by this weekend and then will start saving for the OME HD kit. The rest of phase 2 will be a M226 with factory e locker, M226 and R180 swapped to 4.10s, and a Tom Woods Drive Shaft. Those mods combined with fresh ATs and a new suspension should make this thing feel unstoppable for my uses and next fall's adventure we are planning. Wow very nice tire choice! I've been considering those as well for my next set. Update us on how you like them! Will do, I've always been a fan of Falkens. I've always run Azenis on my Sentra and Eurowinters in the snow. Our JKU is going to get the Wildpeak MT's too. Excited to upgrade to the new AT. 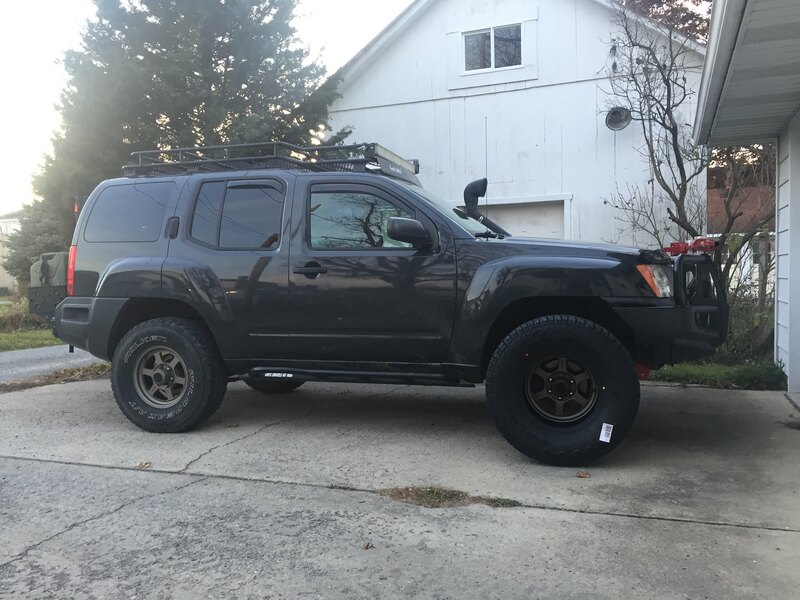 Got the new tires installed and they look great. Ride well on the drive home and really can't wait to get them off the pavement for a test run. Was informed by the tire shop my ball joints are starting to wear out so I will add that to the list for when I buy my suspension. Looking good! Did you have to do any significant melt mods/trimming? I have done none of that, granted I'm not tested off road yet for flexing but even with my old Wild Peaks I never have to melt or trim. I think it has more to do with my wheel setup really. These AT3ws are no joke though. Trying to convince the wife into 35" AT3w's instead of the 35" Falken MT's we were planning on for her Rubicon build now. We added a 2018 Specialized Fatboy and 2017 Specialized Hellga to our bike quivers and man are they good. 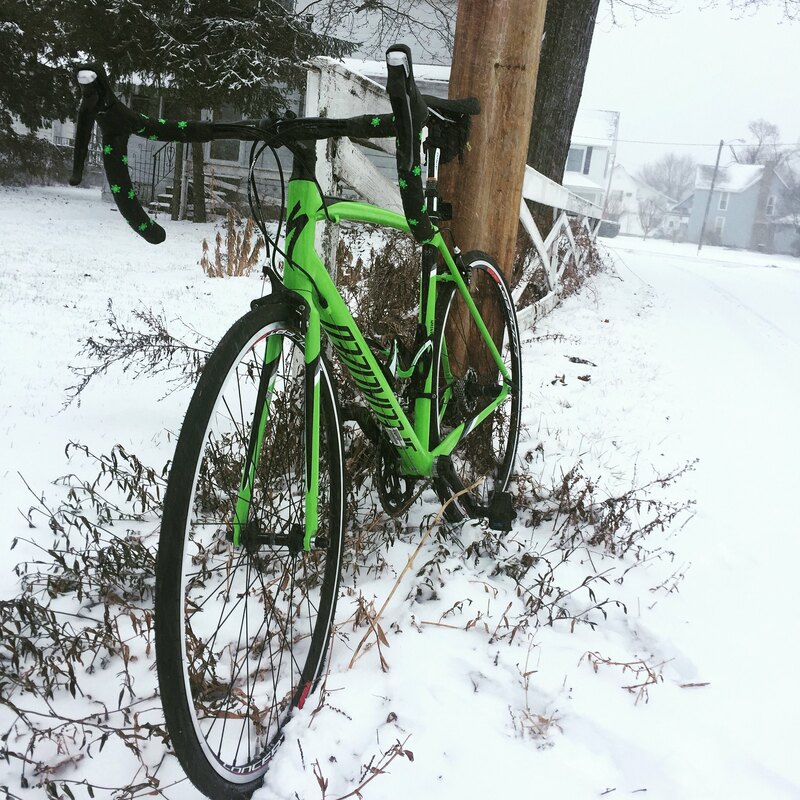 I also secretly bought a 2 year old new Focus road bike that had a Shimano 11 spd 105 groupset on it to switch out with my Specialized Allez's Shimano 8 spd Claris groupset and then re-sell the Focus with my old stuff for minimal lose on it without the wife knowing...lol, shhh, don't tell. Besides that we are planning on completing build ups really by mid-May. The Jeep will also be getting the AT3W, these tires are phenomenal and I am totally sold on them. They have been absolutely planted all winter long and I am sure that will translate to offroad capability. I did invest in a DeLorme Atlas for Michigan and Ohio as well as an Adventure Tool Company Map Case. 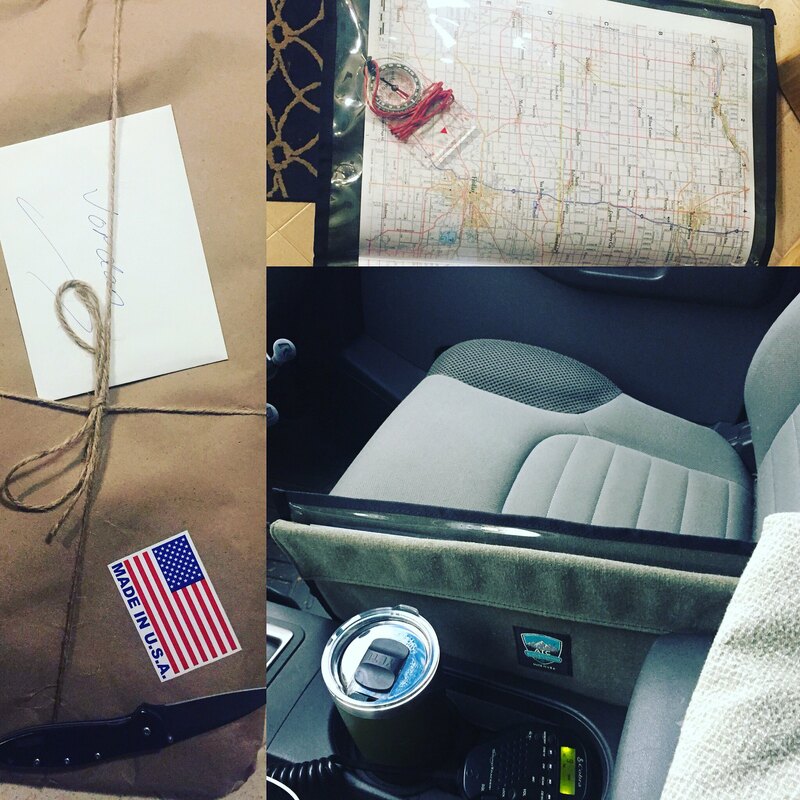 I took a close look at their products at Expo East and knew I had to add one as I really wanted some hard copies of maps on hand for planning both before and during a trip. Also, somewhat embarrassingly, I lacked a baseplate compass so I grabbed a cheap Suunto and tucked that away in there as well. I've always liked paper maps and charts for navigation. Might have to look into a case like this as mine get destroyed in the door cubby. And nice bikes too! Huge mountain biker myself and what is odd is I've never ridden a fat tire bike. Sacrelig, I know. I just enjoy the downhill/xc stuff so much I haven't really taken the time to get on a fat tire. 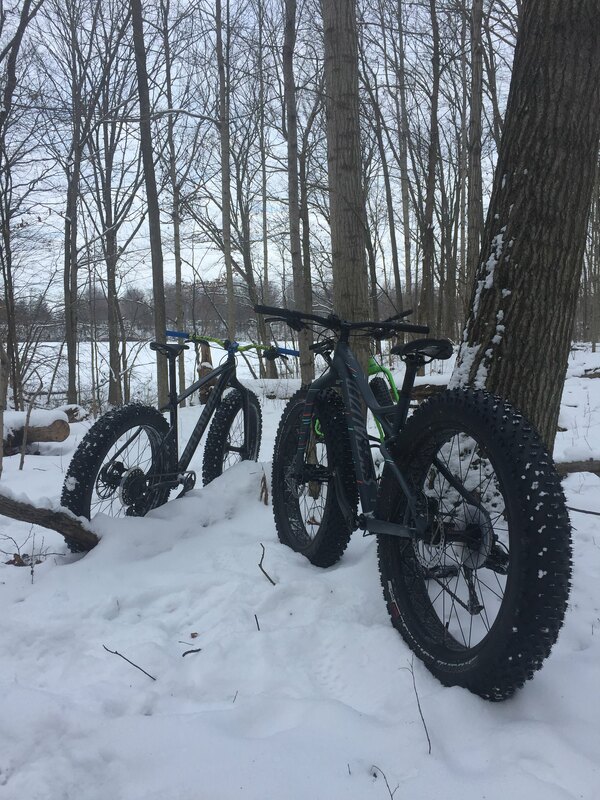 If you can test ride a Fatboy I recommend it. 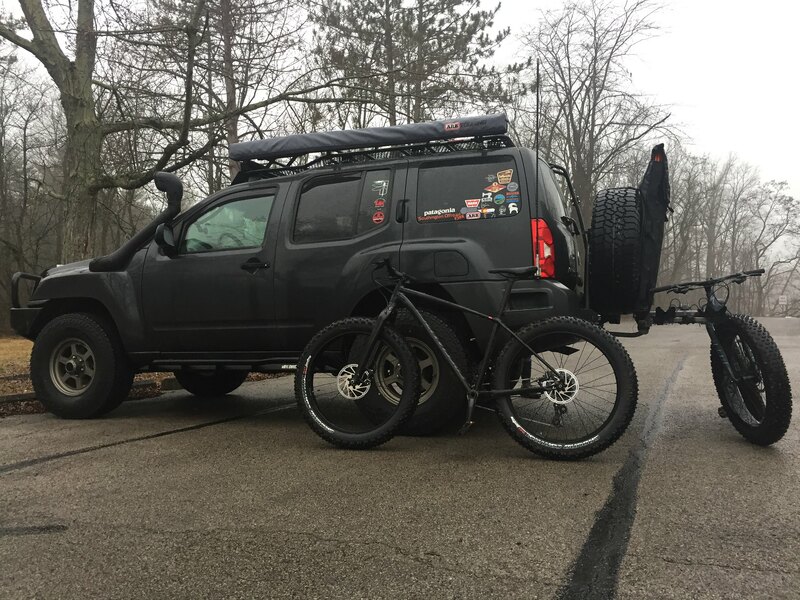 It doesn't even really feel like riding a fatbike. I have a old 26er Specialized Hardrock that I have overly upgraded which is still serving duty as my mountain bike. Really gunning to upgrade to a 2018 Stumpjumper Carbon Comp at the end of the year but we will see.